The Samsung Galaxy S10 reveal is less than three weeks away, with Samsung showing its new phone to the world on 20 Febuary. There have been few official announcements so far, but the rumor mill, is in full swing, and hype levels are through the roof. With suggestions that it will come in four variants, have an under-the-screen camera and fingerprint sensor, a 5G model, plus potentially a whopping 1TB of storage…there’s a lot to dig through. We collect what we know, and what we’ve heard, about the Galaxy S10 to date. In terms of official announcements, Samsung has been fairly tight-lipped about the S10, the hotly anticipated follow-up to the Samsung Galaxy S9 (click for our full review). 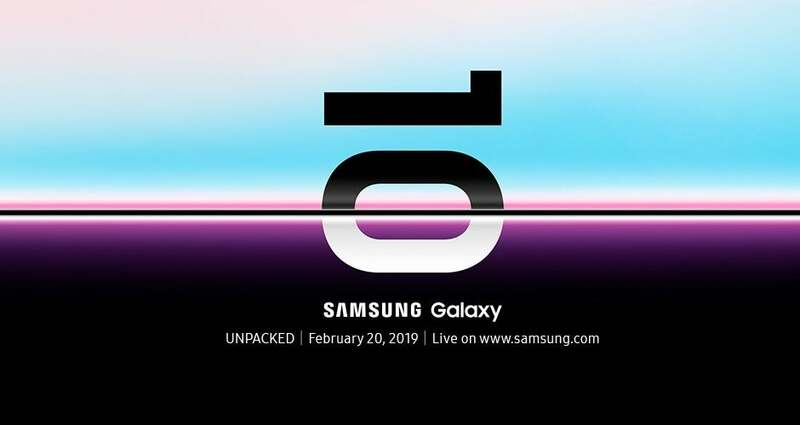 What we know know for sure is that there is an event on 20 February where we’ll get our first look at the S10. At Samsung’s launch event, we’ll learn the specs plus a release date and price. Price – Prominent tech leaker, Ishan Agarwal, revealed what looks to be the European pricing for the S10 line up. The entry level model, the S10e, will apparently cost €749 ($857), the S10 €899 ($1,029) for the 6GB model, and €1,149 ($1,315) for the 8GB. For the all singing, all dancing S1o+, with 12GB of Ram, and 1TB storage, you’re looking at €1,499 ($1,716). Galaxy S10 Plus (5G)– Like the S10, but with 5G compatibility. If this arrives, having the first mainstream 5G phone will be a big scalp for Samsung. Under-screen camera – Samsung has resisted following in Apple’s footsteps, and refused to apply a notch to its phones to house the front-facing camera. In fact, Samsung has enjoyed mocking Apple for its notch-y efforts. However, in an effort to reduce the bezel on the S10, it seems that it will move the camera to under the screen, with a punch-hole in the top right corner. It has a headphone jack – In another case of Samsung refusing to copy Apple, it seems that the headphone jack is staying. For now. In a leaked image from a case manufacturer, you can clearly see the jack on display. 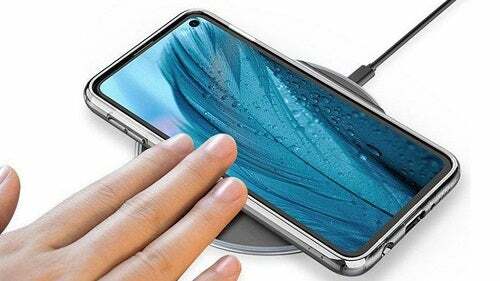 However, there have also been rumors of Samsung prototyping an S10 variant that ditches the jack. It uses the Snapdragon 855 chip – It looks like the S10 will feature the Snapdragon 855 processor, a rather speedy chip that CNET claims is an ‘absolute beast’ in its benchmarking tests, and leaves the S9 far behind. It has three rear cameras – According to xda-developers Max Weinbach, the S10+ features a triple camera, for ‘super wide, wide and telephoto’ images. Foldable – There’s been a lot of speculation about Samsung’s folding phone, with the company actually showing off the tech at the end of last year (albeit briefly) and hinting at it more recently, in Paris. However, don’t get too excited about the prospect of this feature coming to the S10. Early leaks show the design of the flagship phone to be a traditional shape, so it seems that Samsung is saving its folding tech for a separate, dedicated device. Cheap – With the impressive specs that we’re hearing about, the S10 is bound to be a ruiner of wallets. Samsung has plenty of global ambitions when it comes to cheap phones – check out the upcoming M range, for example. They launch in India first, but rumors suggest they could even be coming to the US. We know for certain that the official reveal date for the S10 will be 20 of February. Samsung has planned an event to share the new phone with the world, and it will be streamable from the Samsung website. It’s a smart move from Samsung, dropping this major announcement a few days before Mobile World Congress, Barcelona’s annual bonanza of smartphone and tablet announcements. This way, Samsung can happily grab the headlines from its competitors. While we don’t have an actual release date nailed down just yet, it’s a safe bet to say that pre-orders will go up straight after the event. Following previous Samsung phone availability, we’d expect it to be in stores around mid-March.